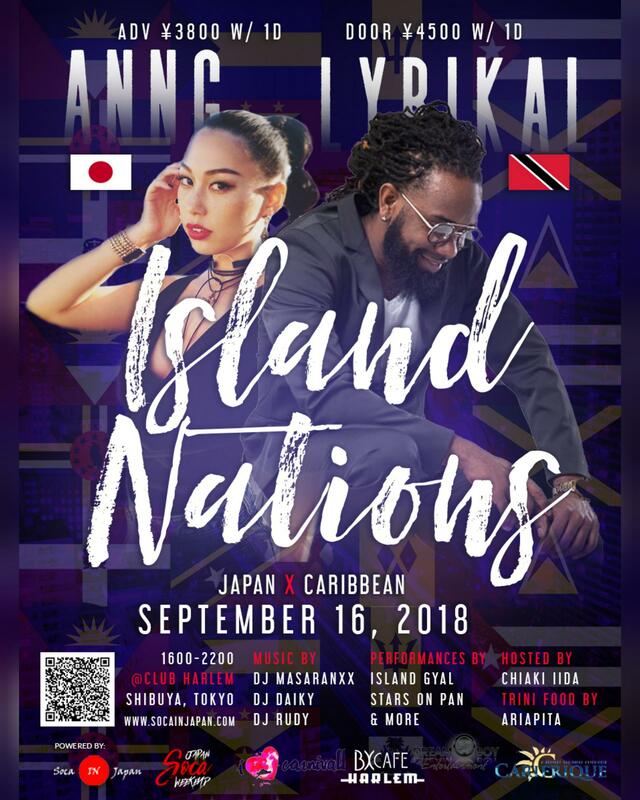 Live performance by International Soca artist Lyrikal! 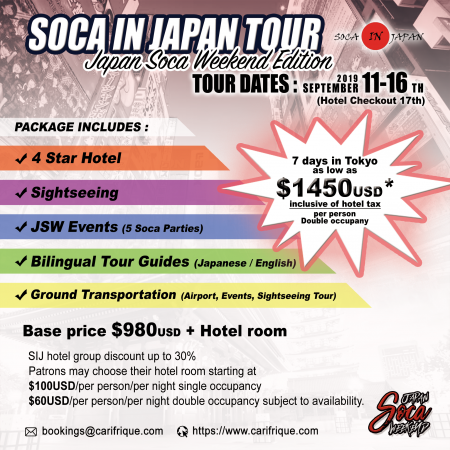 His first performance in Japan is a must see for all soca lovers! Lyrikal, born on the Caribbean island nation of Trinidad and Tobago, is one of the hottest Soca artists in the world. Lyrikal is known for his smooth, infectious hits like Lit, Criminal Wine, Ramajay, Conquer Meh, Loner, Cloud 9, Freedom and many more. More live performances by Japanese artists and dancers. 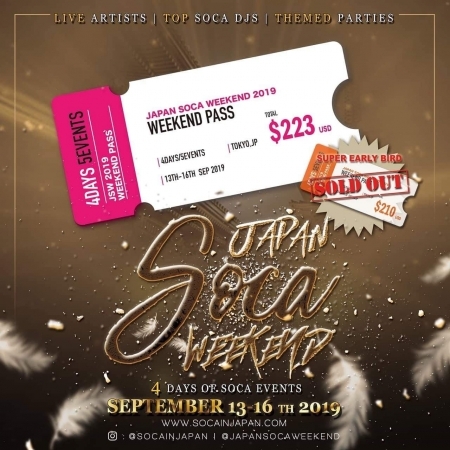 The Caribbean massive from around the world will turn up this fete so you definitely don’t want to miss this soca party! Bring yuh flag and rep your country!